Ballogie Estate, in Royal Deeside, provides the perfect setting for a short break, giving you a few days to relax and unwind. Stay in our luxury accommodation including our newly renovated Potarch Lodge, which offers self-catering for up to 14 guests; hold your dream Highland wedding in the grounds of Ballogie House, explore the estate or simply spend some quality time with family and friends over lunch at the Potarch Café & Restaurant. Our aim is to ensure your stay is a memorable one and however you choose to spend your time with us, you will be sure to get a warm and hospitable Scottish welcome at Ballogie. When you stay at Ballogie Estate enjoy our luxurious accommodation. Our newly refurbished Potarch Lodge has seven en-suite bedrooms. Greenlands and Ford Cottage have their own unique character and style and are near to the River Dee. If you are planning your wedding then Ballogie Estate will provide the perfect Highland venue. Set in its own grounds, Ballogie House provides accommodation for up to 14 people. It is currently undergoing refurbishment and, when ready, will be made available for the exclusive use of your bridal party. Ballogie Estate is set in the heart of Royal Deeside near to Balmoral Castle, the Cairngorm National Park and other key visitor attractions. 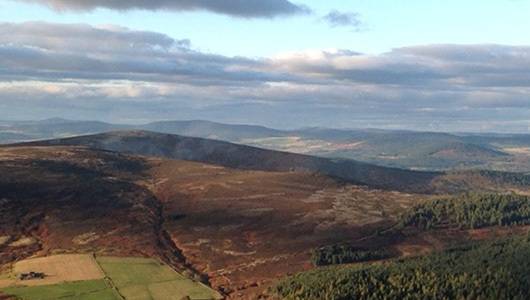 Ballogie Estate is also the perfect base for exploring other parts of Royal Deeside, enjoying long, leisurely walks in forest or woodland, or indulging in more active pursuits. Aberdeen International Airport and Aberdeen Railway Station are both easily accessible and are only 25 miles away. Ballogie Estate is a place of stunning natural beauty lying on the south side of the River Dee in Royal Deeside. Aberdeenshire. Owned and managed by the Nicol family since 1850, Ballogie covers 6,000 acres of farmland, moorland and forest set against the majestic backdrop of the Cairngorms National Park, making it the perfect destination for lovers of the outdoors. 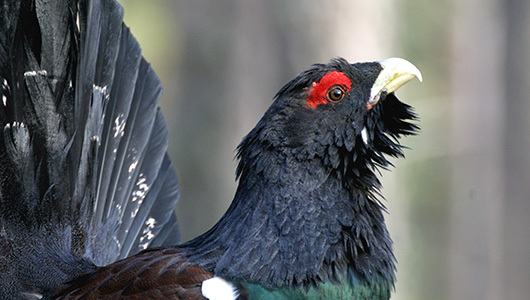 We play an active role in wildlife conservation and we have a significant area of riparian woodlands and some Caledonian Pine forest and Ancient Woodland sites under our stewardship.